Sitting in the field, in the sun, taking a break from moving compost to nurse a hungry baby, just awaking from his nap on my back where he was lulled by the movement, up and down the hill, scooping, filling, returning matter to the earth. Over near the house, I hear the squeals and laughs of children splashing in the hand-dug mud/water pit they have already taken to filling on this first, very warm day. From my spot, I watch. Pure play is a thing of beauty. Then I look over and watch the farmer, the sounds of spring farm work fill my ears. He works so hard, each year doing more and more in the same amount of hours and days, it amazes me. This moment is so perfect. 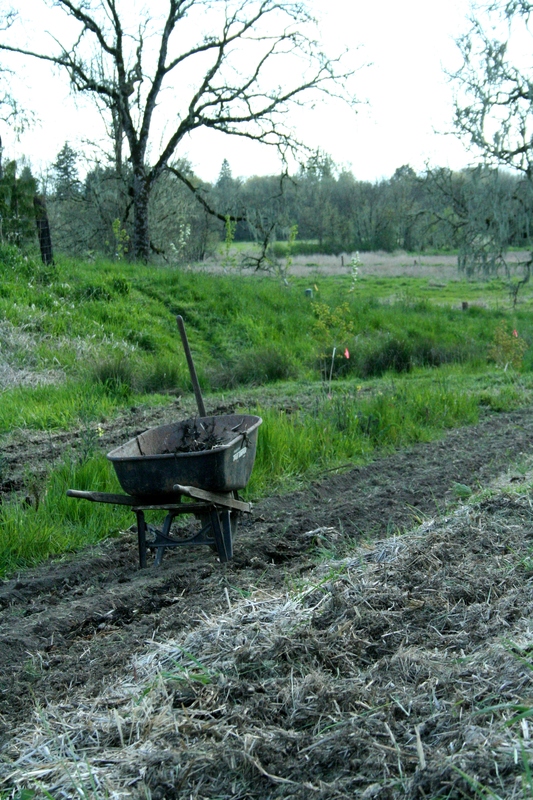 All of us together, working on this farm, food and souls growing in this warm, fertile ground.